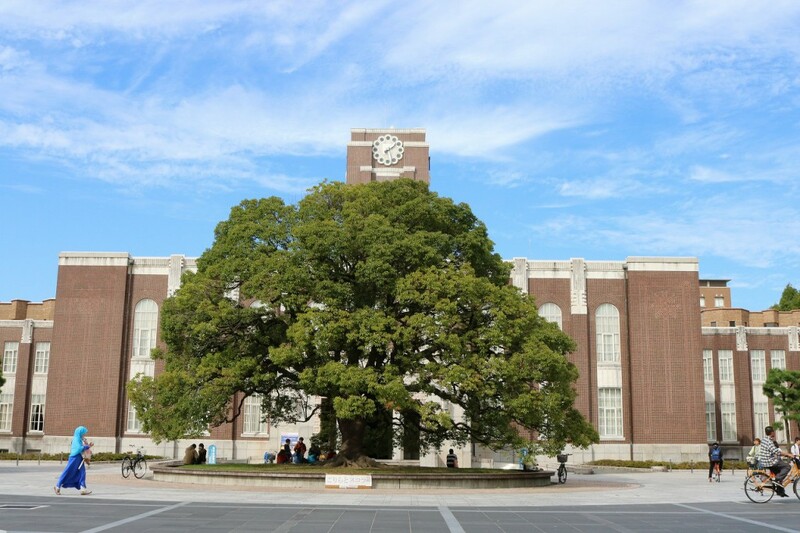 With its campus in Kyoto, known as the “thousand-year capital,” Kyoto University has incorporated traditional aspects of the city while carrying out numerous unique research projects since its founding in 1897. Many Nobel Prize winners have connections to the university, with a total of nine Nobel laureates ranging from Hideki Yukawa in 1949 (Physics) to Shinya Yamanaka in 2012 (Physiology or Medicine). Around ten professors are nominated for the prize every year. With 10 faculties, 18 graduate schools, and 14 research institutes (more than any other university in Japan), it is clear how the university is engaged in a broad variety of research. In order to encourage free and creative ideas by the students, instructors at the university compete and carry out their own research that draws global attention. Of all the research being carried out at Kyoto University, this press tour will look at unique research topics that have an impact on daily lives. In addition to observing research facilities and interviewing researchers, there will also be an interview with Kyoto University President Juichi Yamagiwa, a leading gorilla researcher. *This press tour is sponsored by Kyoto University, with planning cooperation by the FPCJ. *This press tour will require participants to bear part of the cost, but is not a profit-making venture. 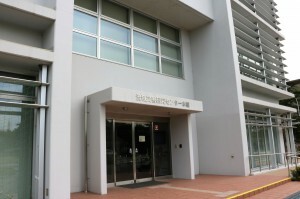 The Disaster Prevention Research Institute was established in Uji in 1951, in order to fulfill the responsibility of a university located in Japan, with its frequent natural disasters. With the goal of developing disaster prevention and risk reduction measures for disasters predicted to possibly occur in the near future, such as a major Nankai Trough earthquake, the institute carries out cutting-edge research in four groups: Integrated Art and Sciences for Disaster Reduction, Seismic and Volcanic Hazards Mitigation, Geohazards, and Atmosphere-Hydrosphere. This tour will visit one of the institute’s research facilities, Ujigawa Open Laboratory. Established as the Ujigawa Hydraulics Laboratory of Disaster Prevention Research Institute in 1952 (renamed in 2002), for over half a century this facility has carried out research on natural disasters caused by water and soil. The institute has unique equipment for realistically reproducing rainstorms and sedimentation disasters for observation and experimentation. As one of the largest facilities of its kind in the world, it is an “Open Laboratory” due to a system in place to allow other research groups, private companies, and schools to use the facilities as well. It is also used for training firefighters and to allow average citizens learn about disasters by experiencing them. Since heavy rains have been causing disasters frequently in Japan over the past few years, demand for this institute has been increasing as well. An overview of the Disaster Prevention Research Institute will be given by Director Takara while travelling there on the bus. 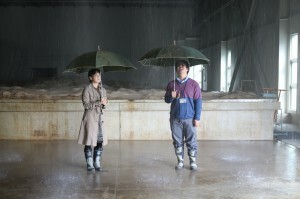 Associate Professor Kenji Kawaike, who researches heavy rain disasters, will provide an explanation as the tour experiences the rainfall runoff simulator, and the scale model of a staircase with flowing water for simulating evacuation from underground during flooding. 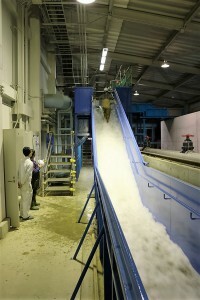 There will also be opportunities to see experiments carried out with the Hybrid Tsunami Open Flume in Ujigawa built in 2014, an artificial tsunami generator; and with the Hydroplane Tsunami Barrier, a breakwater that moves in response to the motion of waves, which will; covering efforts to contribute to disaster prevention plans for a major Nankai Trough earthquake and tsunami. —Psychology: Reading the minds of cats and dogs? It has been years since people declared a pet boom in Japan, but in recent years it has become even more intense. It is estimated over 20 million cats and dogs are kept as pets, with the media making frequent features on pets, and the industry as a whole bringing in approximately one trillion yen annually. Pet owners often consider pets part of the family, but just how well can humans understand how pets are feeling? Although linguistic communication is not possible, if it were possible for humans and pets to understand each other better, closer relationships might be possible. The members of Professor Kazuo Fujita’s lab in the Graduate School of Letters began research on this idea with CAMP. CAMP stands for the Companion Animal Mind Project. Established in 2003, it is formed of two teams: CAMP WAN which researches dogs, and CAMP NYAN which researches cats. Despite being animals closely involved in human’s daily lives, little research had been done in this field. 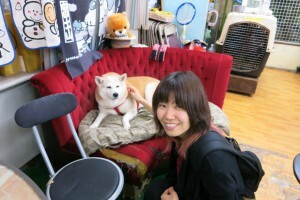 With a global increase in the psychology of dogs around 2000, Professor Fujita started CAMP along with some dog-loving lab students in one of the first efforts in Japan. Their announcements of research results such as dogs tending not to like people who behave negatively towards their owners (2015), and cats understanding the basic laws of physics (2016), received a lot of attention. The researchers goal is to study the animals’ “natural” minds. Instead of cats and dogs who have undergone special training, they use the internet to find volunteer cats and dogs raised in normal homes. They have the dogs come to a research room located in an apartment, but due to cats’ strong territorial instincts it is likely they would not act naturally in the research room, so the researchers study the cats at their homes or at cat cafes. The tour will speak with CAMP members Ms. Chijiiwa and Ms. Takagi about the psychology of cats and dogs based on the experiments they have performed so far. A dog and its owner will come to the lab, and a demonstration of an experiment will be carried out. Everyone has the experience of waking up in the morning and remembering that you had a dream, but not being able to remember what it was about. In the near future, it may become possible to “decode” your dreams even if you can’t remember them. At the Advanced Telecommunications Research Institute International (ATR), research is being carried out to decode people’s dreams using brain activity data. 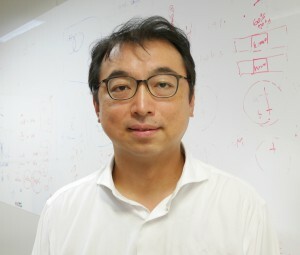 This unique research is being led by Professor Yukiyasu Kamitani, Director of ATR’s Department of NeuroInformatics (DNI). Instead of taking an experimental biology approach to the workings of the brain, this unique research analyzes and collects data of the brain linked to mental states, in order to determine fixed patterns in the data. 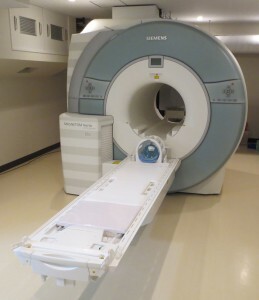 First, functional magnetic resonance imaging (fMRI) is used to record data on how the blood flow in the brain changes based on the type of object seen while awake. That fMRI data is compared to the blood flow in the brain of a person in the first stage of sleep, in order to identify the imagery of people and objects that appeared in the dream, and then reproduce them. These efforts are gaining global attention as a first attempt at making something that only appeared in fiction into a reality. With much of it still unexplained, some call the brain humanity’s final frontier. Foreign research institutions are very interested in the possibility of determining how it works. In 2013, the American academic journal Science published DNI’s research results. 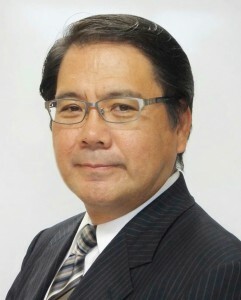 Professor Kamitani’s goal is practical applications in the fields of medical science and information and communications. One of his stated goals is to make it possible to control prosthetic limbs automatically with brain signals, without the need for a neural implant. Professor Kamitani will discuss his research on brain activity data, decoding dreams, and possible applications. 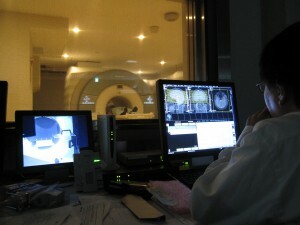 There will also be an opportunity to see the fMRI machine while covering the research process. 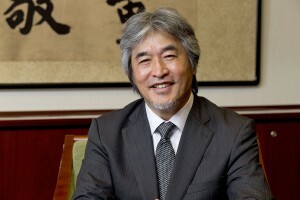 “The university must be a place where academic endeavor can proceed undisturbed, while also providing windows into the world and society, and increasing the skills of promising students and young researchers before sending them to make practical use of their abilities outside the university.” The tour will speak with Kyoto University President Juichi Yamagiwa about the framework he implemented after becoming the university’s 26th president in 2014, including initiatives for Kyoto University to maintain its position as a bastion of academic freedom unconstrained by convention, and future plans. Born in Tokyo, in 1952. Received his Bachelor of Science degree from Kyoto University, followed by a Master of Science and Doctor of Science. Research interests are primatology and anthropology. Visiting researcher at Rwanda’s Karisoke Research Center. Japan Monkey Centre Research Fellow. Previous positions include Kyoto University Primate Research Institute Associate Professor and Kyoto University Graduate School of Science Professor. Currently Kyoto University President. Involved in field research on gorillas across Africa since 1978. Researching the ecology and behavior of anthropoid primates as a basis for replicating the daily life of early humans and determining the origins of social characteristics unique to humans. *The schedule may be changed due to weather or other unforeseen circumstances. 3. Cost: 5,000 yen per person including transportation, accommodation and meal. * FPCJ will later inform the participants of methods for payment, cancellation fee, etc. 4. Participants: Limited to 10 applicants. *If the number of applicants exceeds 10, an upper limit may be set on the number of participants from each country. （１）There may be some restrictions on photographing and filming at the tour sites. Please follow the instructions of the officials on duty. （３）For people with allergies to dogs, keep in mind the tour will observe an experiment with dogs. （４）Kyoto University and FPCJ will not be liable for any inconvenience, trouble or accidents that might occur during the tour. Interests include hydrology, water resources engineering, and disaster prevention technology and policy, in particular modeling and forecasting floods to prevent and reduce disasters, and frequency analysis of extremes. Recently, working on developing educational and research frameworks for interdisciplinary collaboration between science and engineering and between science and the arts, to develop comprehensive solutions to global issues threatening the existence of humanity, such as climate change and the effects of global warming. Researching numerical analysis methods to forecast the scale (depth of water, flow speed, flooding area) of disasters caused by heavy rain, common in Japan recently, as well as evaluation of fluvial disaster reduction effectivity of measures such as drainage pump stations, gutters, floodgates, and sewers. For her graduation thesis, carried out an experiment on cats’ perception of body width. After entering graduate school, involved in comparative research on social intelligence of cats and dogs (particularly higher-order emotions) that the Companion Animal Mind Project is known for. For her graduation thesis, carried out an experiment on social memory of degus, a type of rodent. After entering graduate school, involved in research about animal cognition on degus, capuchin monkeys, and cats. Received a B.A. in Cognitive and Behavioral Sciences from the University of Tokyo in 1993, and M.S. in Philosophy of Science in 1995, followed by a Ph.D. in Computation and Neural Systems at the California Institute of Technology in 2001. Previous positions include Research Fellow at Harvard Medical School in 2001 and Visiting Research Staff at Princeton University in 2003, before joining ATR Computational Neuroscience Laboratories in 2004. 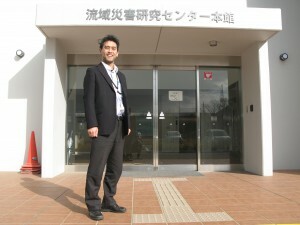 Also an Associate Professor at Nara Institute of Science and Technology since 2006. Specializes in cognition and computational neuroscience. Currently researching technology to decode brain signals.